Avery Straughter of Eveleth-Gilbert tragically died of suicide on September 17, 2018. 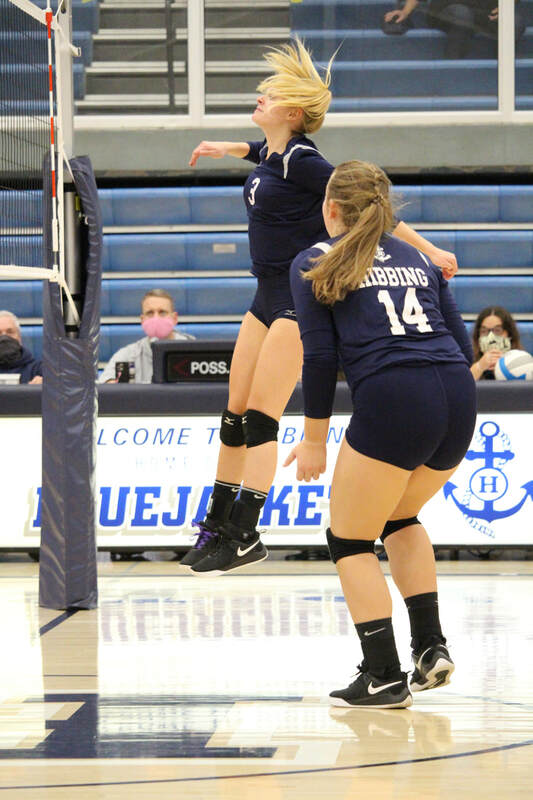 The Hibbing High School volleyball team played the Eveleth-Gilbert Golden Bears the next night in Eveleth. 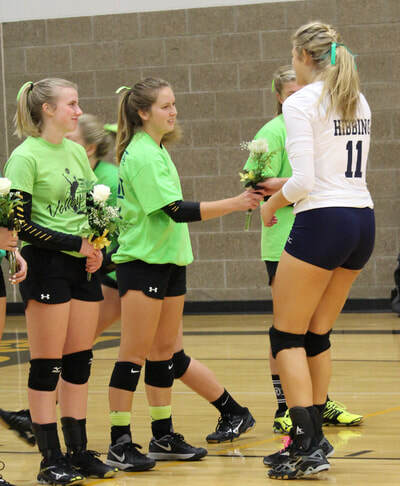 A friend of Avery's spoke about her friendship with her before the game started. There was also a moment of silence before the game to remember Avery. 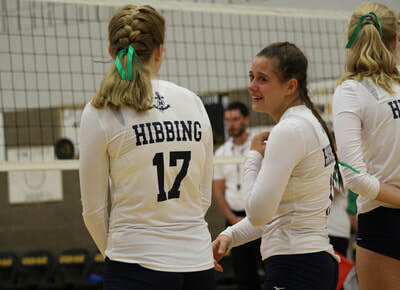 At Minnesota Ironwoman, we did not know Avery, but we were present that night at the volleyball game to witness the pure pain and sadness of those she left behind. We love our community's children whether we know them personally or not. 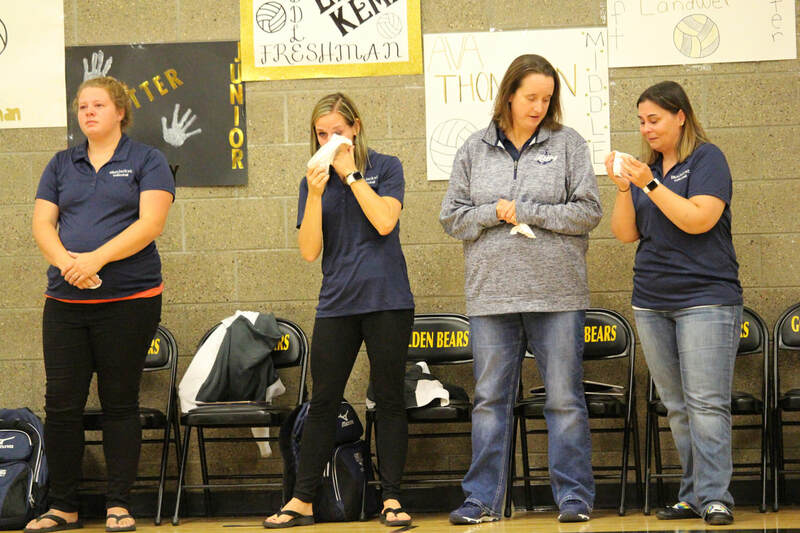 Teen suicide is preventable. Call 1-800-247-0061 to speak with a counselor or text HOME to 741741 to text with a trained counselor if you are feeling depressed and having thoughts of suicide. You are important. You are loved. You will receive help and love from your community. Just speak up and don't be silent. We love the children of the Iron Range and want to be a resource to you. 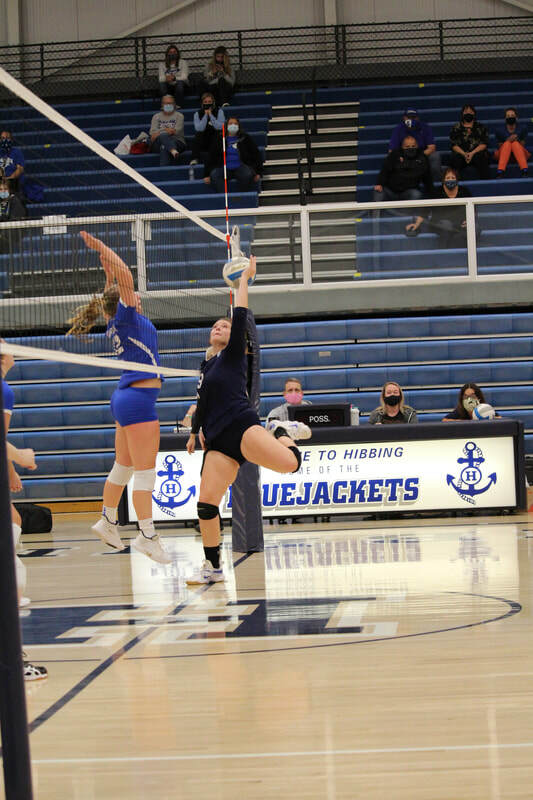 Melissa's daughter Mirabella Scaia plays for the Hibbing High School junior varsity volleyball team during the 2018 season . 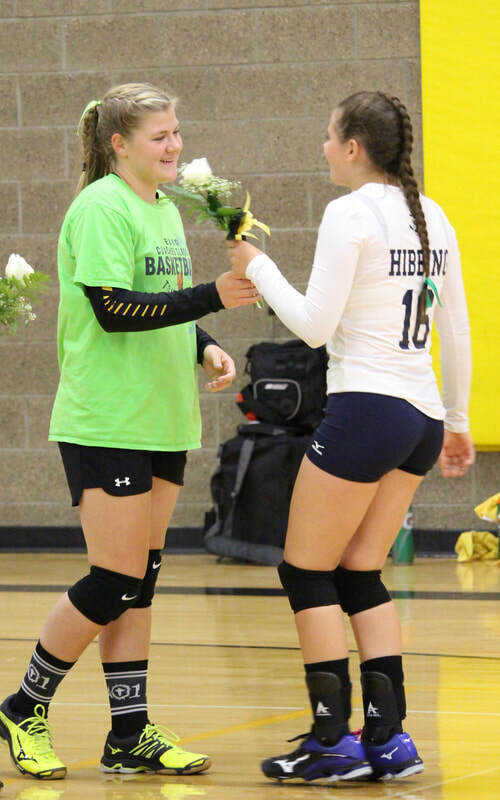 Photos from the 2018 season of HHS can be found by clicking here. Melissa recently volunteered to take photos at the First Annual Assumption Catholic School 2018 Golf Fundraiser at the Mesaba Country Club in Hibbing. All photos are free to participants. You can download them, screenshot them and use them as you would like to. Both of Melissa's children attended this school. Click here to go to the Photography of the Iron Range. Melissa recently volunteered to take photos at the Central Mesabi Medical Foundation 2018 Golf Fundraiser at the Mesaba Country Club in Hibbing. All photos are free to participants. You can download them, screenshot them and use them as you would like to. The Central Mesabi Medical Foundation (CMMF) focuses on three areas: medical equipment, healthcare scholarships, and health education. Click here to go to the Photography of the Iron Range page. The Iron Range is full of women past and present who have been leaders on the Iron Range in many ways. To begin this feature of women, I was inspired by my mom, Joanne Petrangelo. The Iron Range is infamous for its food. It is a core fabric of the Iron Range culture. My mom Joanne Petrangelo passed away too soon at the age of 62. She was an amazing cook. She learned how to make homemade spaghetti and meatballs from my dad's grandma and loved to bake and always made HUGE home cooked meals during every holiday. She also loved making birthday cakes. Celebrating birthdays was a REALLY big deal to her. She made everyone feel so special on their birthday. Her favorite cookbook was her Halloween themed cook book. Her Halloween party included many ghoulish but tasty items. She especially loved to make “finger cookies” for Halloween. When you stopped at her house for trick or treating it always included homemade Halloween baked goods. As a lasting legacy to her cooking, her two best friends Lisa Maasch and Lori Flohaug made over 100 photo copies of her 12 favorite recipes: Chicken Oriental Salad, Pistachio Dessert, Chocolate Cake with coffee frosting, Pheasant (Chicken) Cacciatore, Danielle’s (Poppy Seed) Salad, French Toast Bake, Turkey Cranberry Wreath, Walnut Cheese Sticks, HHS Sloppy Joes, Pumpkin Bars, Souvlaki Pork, and Walnut Cheese Sticks. All of these recipes were made available on a table in St. Leo’s Hall after the funeral mass. Because more people wanted the recipes I have included them all. We would love for Joanne’s legacy to continue through her favorite recipes in your home! Click here for the recipes. Melissa Petrangelo Scaia is an international trainer on domestic violence. She is currently the Director of International Training for Global Rights for Women (GRW). In her position at GRW she brings a wealth of experience as the former executive director of Domestic Abuse Intervention Programs (DAIP), also known as “the Duluth Model.” Prior to working in Duluth she was the executive director of Advocates for Family Peace (AFFP) where she worked for 17 years, a local domestic violence advocacy program. She has also lead and organized two Coordinated Community Responses (CCR) to address domestic violence in Minnesota, as well as co-facilitating groups for men who batter and women who use violence. She has also been a consulting trainer for a number of national training organizations on domestic violence and child abuse, including Praxis International, Association of Family and Conciliation Courts and the National Council of Juvenile and Family Court Judges. As a qualified expert in the state of Minnesota she testifies as an expert witness on domestic violence in criminal court cases. She wrote her master’s thesis on the effects of domestic violence on children and wrote her doctoral dissertation proposal to address supervised visitation, children and domestic violence. She has contributed to numerous publications related to supervised visitation, children, and domestic violence. Recently she co-wrote a curriculum and DVD for working with men who batter as fathers entitled, “Addressing Fatherhood with Men Who Batter”. She also co-authored a curriculum and DVD with Ellen Pence, PhD and Laura Connelly for working with women who have used violence in intimate relationships entitled, “Turning Points: A Nonviolence Curriculum for Women”. She has been selected for numerous roundtable advisory discussion groups for the Office on Violence Against Women through the National Judicial Institute on Domestic Violence related to: differentiating types of domestic violence, custody, working with domestic violence offenders, and batterers intervention programs. Most recently she was named to a National Consulting Group on Batterers Intervention Programs and as a National Advisory Committee Member for Mariska Hargitay’s Joyful Heart Foundation for survivor based healing. In addition, she participated at two United Nations Expert Meetings related to domestic violence in Kazakhstan and Spain. Outside of her work she is a mother of two young children, a former United States Figure Skating Association instructor, has a passion for photography and interior decorating / HGTV and currently is writing her first book based on the life story of her mother. Another part of my mission and goal for creating Minnesota Iron Woman is to document, through video, the vast and various contributions that women have made to the history and culture of the Iron Range. I will take recommendation for and highlight the unique contributions that women have made to making the Iron Range an amazing place to live and work. Melissa Scaia lives on the Iron Range in northeastern Minnesota. She writes about life as a woman, mother, community member, and family member on Minnesota's Iron Range of Steel. She is also an international trainer on violence against women, amateur photographer, and parent.